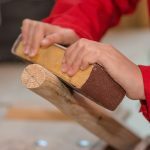 Boatshed volunteers first started working with Banff Academy students in 2004, building 2 small dinghies with 12 first year students. 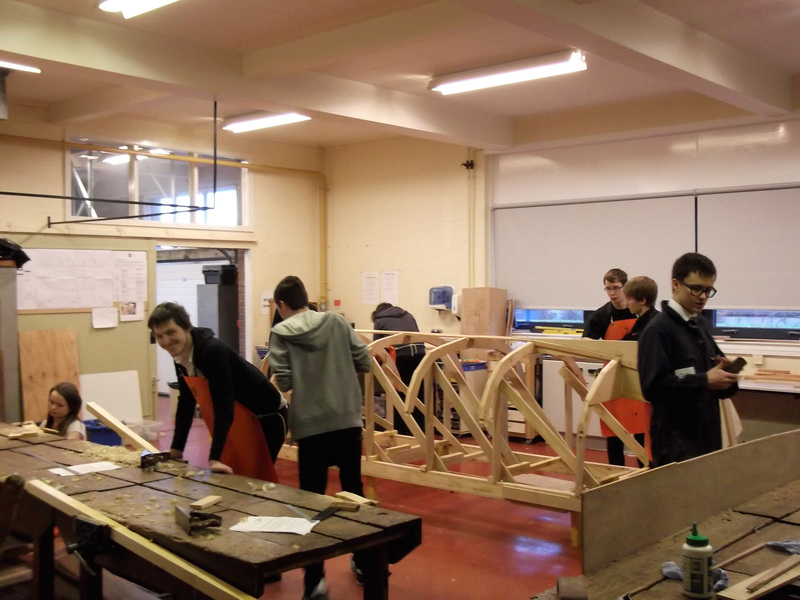 The following year, the Portsoy Faering Project was launched, during which time a faering was built from larch and oak with a total of 39 students taking part over 3 years. The boat was launched in 2008 and was rowed by project members at several boat festivals before being retired to the Salmon Bothy museum. 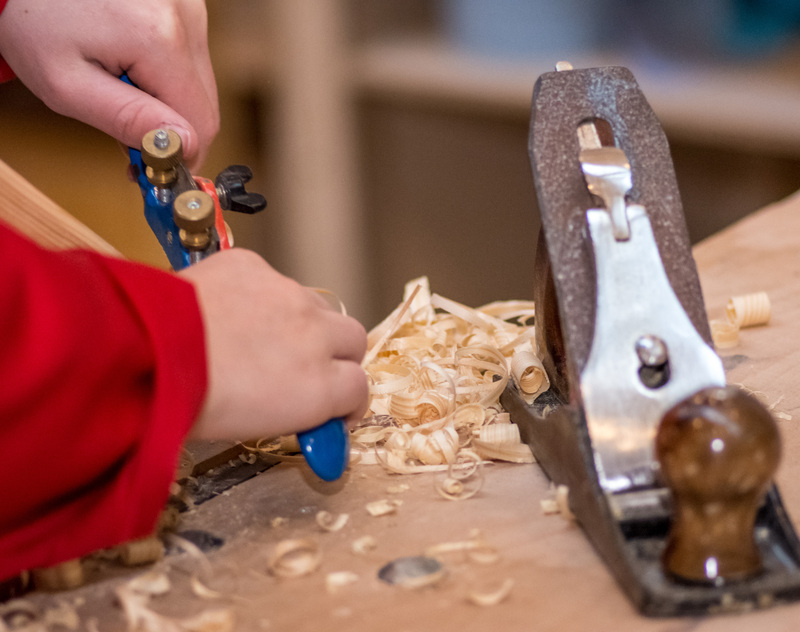 After several years in the museum, the boat was recently used to give the members of the Chevron Community Boat Building Project an opportunity to row. The boat is still totally watertight and may get several more outings over the winter with members of Banff Academy. 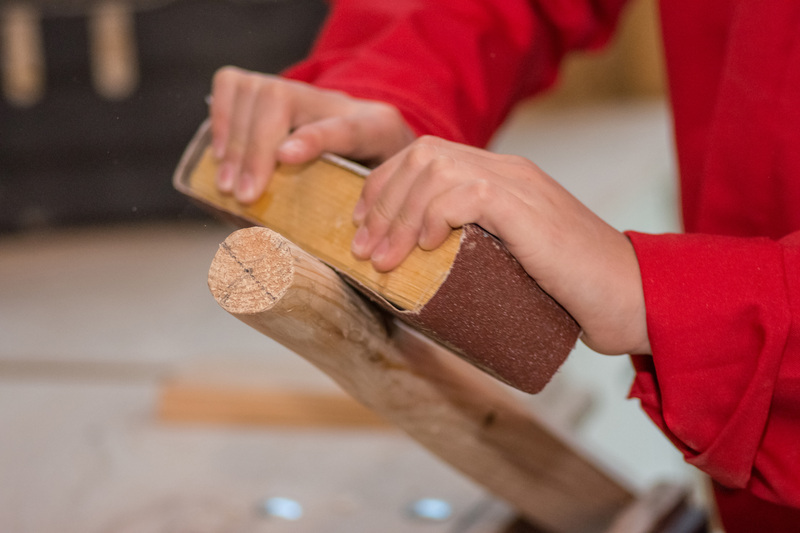 Work with students continued with oar and sail making in the Salmon Bothy, and rope making as well as rowing at boat festivals but lack of a workshop meant we could not build another boat. We did, however, build 8 Pessimist dinghies with selected groups of Banff Academy students to help develop social and employability skills. 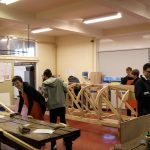 Our work with Banff Academy really started in earnest in 2014 when we were invited to establish a boat building course as part of the school timetable. 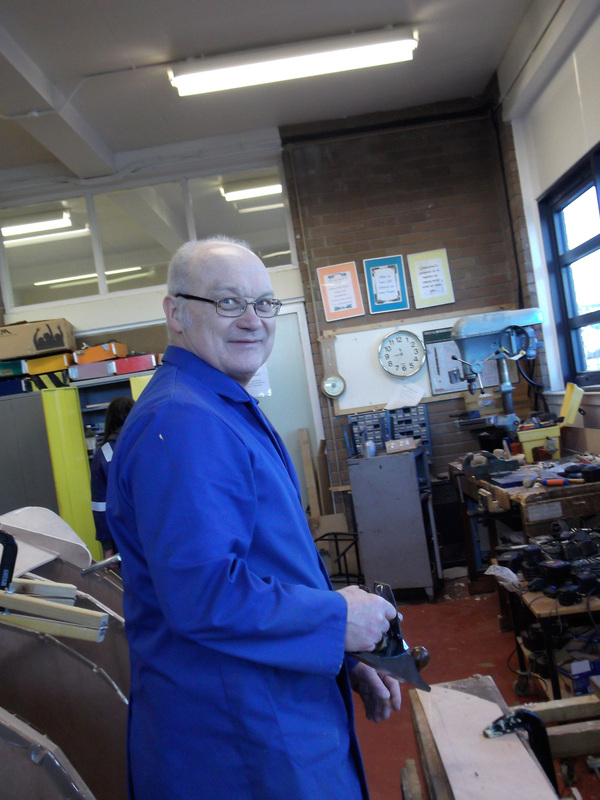 The course is open to the whole of the senior school of 4th, 5th and 6th year students. 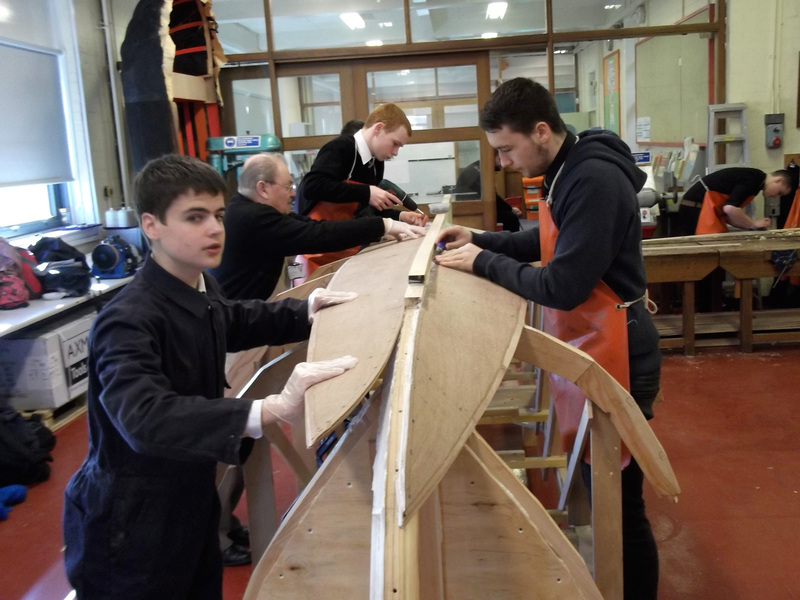 In 2014/15 the students built a St Ayles skiff from an Alec Jordan kit, it was named Banac and was launched at the 2015 Scottish Traditional Boat Festival. The boat is on permanent loan to the Deveron Coastal Rowing Club, based in Banff which boasts a strong junior section of Banff Academy students. 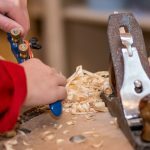 The first year was so successful that it lead to a second year of 2 classes building 2 boats. The first was another of Alec Jordan kits of the Tammie Norrie, designed as a sailing boat but built for 2 rowers as a training boat to teach S1 and S2 students to row before they venture out to sea in Banac; the new boat was called Banac’s Bairn. The second was a copy of a river coble scaled down from the original that was used to fish with nets for sea trout in the Burn of Boyne. The boat was built specifically as a salmon bothy museum exhibit, and scaled down to fit through the door! The river coble was built from scratch using photographs of the original boat and the drawing of a similar boat. 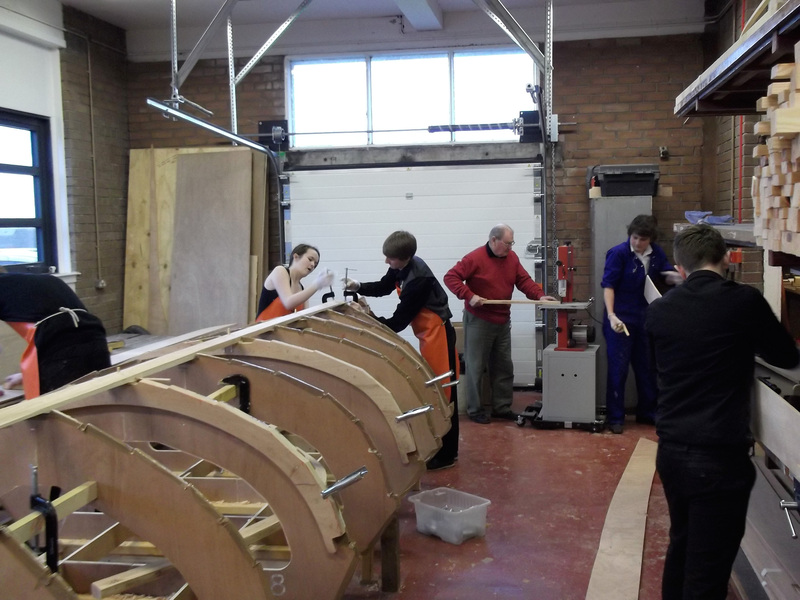 The students were given a table of dimensions and tasked with producing the moulds and lines of the boat. Even though built as a museum exhibit the boat was launched and rowed. 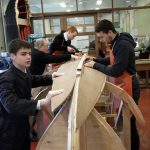 For the 2016/17 academic year we are working with 22 students who are building another St Ayles skiff. 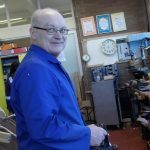 If you would like to find out more about the work we do with local Secondary School pupils, or indeed would like to join our team of enthusiastic volunteers, please contact us.